SCMP Group Ltd (SEHK: 583), Asia’s leading media holding company, has recently published “Hong Kong International Schools Guide”, a definitive directory of English Schools Foundation-affiliated and international schools. Parents, guardians and educators looking for comprehensive information on primary and secondary education in international schools based in Hong Kong will find “Hong Kong International Schools Guide” to be the definitive must-have compendium. Compiled by Education Post of the SCMP Group, the guide provides detailed profiles on 55 of the most well-noted international schools in Hong Kong’s three geographic regions – Hong Kong Island, Kowloon Peninsula and the New Territories. The profiles will help parents understand each school’s mission, teaching methodology and medium, student mix, affiliations with other educational institutes, application details, areas of strength and much more. “Hong Kong International Schools Guide” also features a number of write-ups including an overview of Hong Kong’s international school landscape, the International Baccalaureate (IB) curriculum, financing an international school education, and pointers on gaining admission. 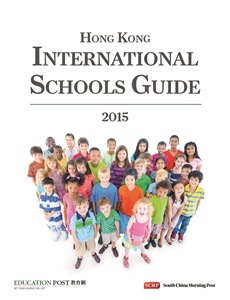 “Hong Kong International Schools Guide” is available free-of-charge to readers who register with Education Post at http://educationpost.com.hk/is/ before 11 January 2015. Successful registrants can download an eBook version whereas those residing in Hong Kong will receive a print version while stock lasts. Together with the publication of the guide, Education Post also launched an online school directory on its website, offering in-depth school information, tuition details and supported by a robust search engine. Available in http://www.educationpost.com.hk/international-school/. Education Post, part of the SCMP Group, is Hong Kong’s leading online education website with up-to-date education-related editorial resources such as insider news from the Accounting, Business, Entrepreneurship, Healthcare, Art & Design and Education communities, as well as the most comprehensive database in postgraduate, MBA and continuing education with information on over 2,000 courses.